For Karthigai Deepam festival yesterday, I made Nei Appam, Karthigai Adai and Sundal. 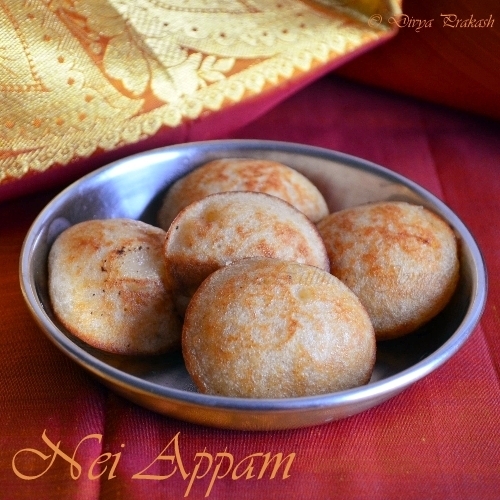 Last year I got the nei appam recipe online and noted it in my recipe note book. I was not into blogging then so I had not noted the recipe source. Today am sharing with you the recipe. The aroma and taste of ghee in this appam makes it more special. Soak the rice for at least 3-4 hours. Grind the soaked rice in to a smooth paste, adding very little water. Powder the jaggery and melt them adding little water. Once they are melted and start boiling, remove from heat, filter the impurities and add to the ground rice paste and mix well. Mash the banana and add to this mixture, add the powdered cardamom, salt and mix well. Let it sit at room temperature for 3-4 hours. When it is time to cook, add the grated coconut, mix well. 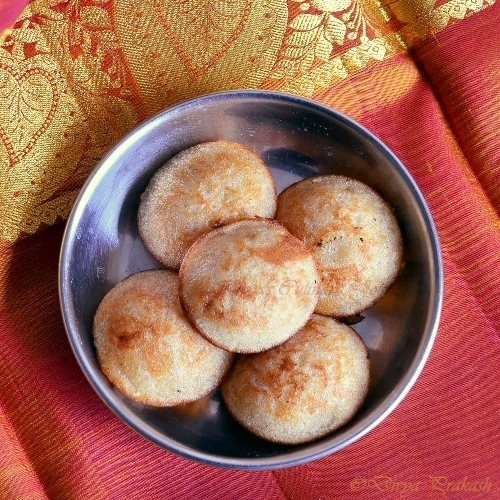 Heat a paniyaram pan, add ghee to each paniyaram mould, pour the batter and cook covered in low heat till the sides turn crispy, golden brown and it is easy to flip to the other side. Turn the other side and cook for a minute or two till it is done. Remove from pan and serve it warm. While grinding rice, take care to add very little water. Water just right enough to ensure the grinding process. After adding the jaggery syrup, if the batter turns watery, add couple of tablespoons of rice flour. cute and adorable.. nice clicks..
Omg, wat a super tempting appam..
Beautiful clicks, neiappam looks delicious. Cute nei appams, prefect for karthigai deepam celebration. They looks damn cute. very nice. 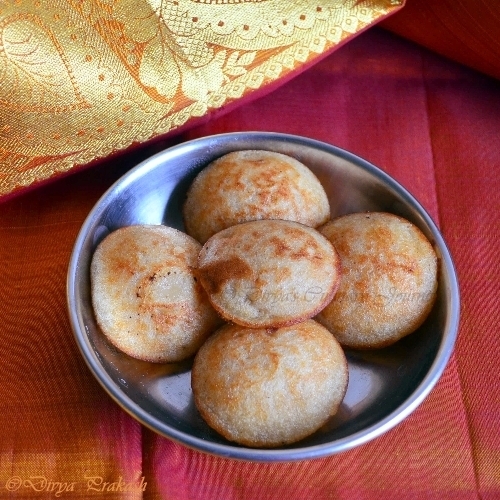 its in my try list ..
i love nei appam very much:)my mother wil do this same, I just love it but missing the occasion so much:(Love to be in India and enjoy the festival.. Very nice nei appams. I like all jaggery sweets. Yummy appam, looks so cute n spongy. Love these, beautiful clicks, I saw it FG too.. Tempting nei appams...Lovely clicks dear..
Have to learn a lot from you dear, simply superb!